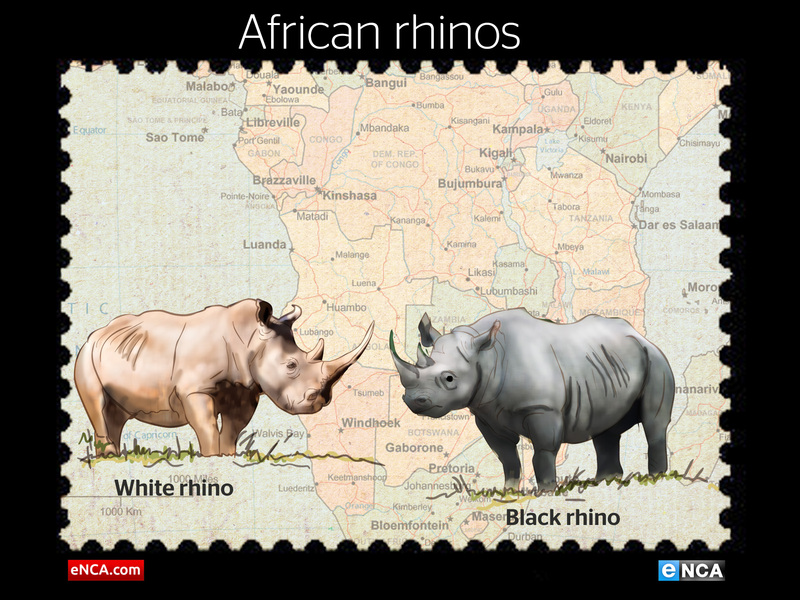 A graphic depicting rhino species prevalent in Africa. JOHANNESBURG - As one of the world’s critically endangered species, the rhino receives a lot of media attention for rapidly declining population due to poaching. On 22 September people around the globe celebrate World Rhino Day, a day for celebration of all five rhino species found in the world. The day was first announced by the World Wildlife Foundation-South Africa in 2010. Since then it has gained international momentum with conservation groups around the world organising events to raise awareness about rhinos. Poaching incidents are on the rise as 2014 is shaping up to be the South African rhino&39;s worst year with conservationists estimating rhino have just 20 more years left before extinction. For this World Rhino day WWF SA supported the launch of a campaign in Vietnam aiming to change attitudes to rhino horn consumption in Asia in an effort to crush the demand. In Africa the white and black rhinos make up two of the five species, the remaining three are found in Asia. The black rhino can weigh up to 1,400 kilograms and has two horns, sometimes a third small posterior horn. According to WWF SA, the black rhino population is currently at 4,838 and 98% of these are found in southern Africa. The white rhino is a lot heavier than its counterpart, weighing up to 3,600 kilograms. WWF SA confirm a population estimate of 20,140 and like the black rhino, almost all of the white rhino are found in southern Africa. In Asia the populations of the remaining Sumatran, Javan and greater one-horned rhino is much lower. The Sumatran rhino are found in Indonesia, Malaysia, Brunei and can weigh up to 600 kilograms. Aside from poaching these rhinos are also vulnerable because of deforestation and loss of habitat. WWF state there are fewer than 200 of these rhino remaining in the wild. Also known as the Indian rhinocerous, the greater one-horned rhino is the largest of all rhino species. They can be found in Bhutan, India and Nepal and there are almost 3,000 left in the wild. The Javan rhino is arguably one of the rarest large mammals left on earth. Highly vulnerable to complete extinction there are only 50 left in Western Java, Indonesia. Watch this rare video of a Javan rhino mother and calf caught on camera wallowing in the mud.